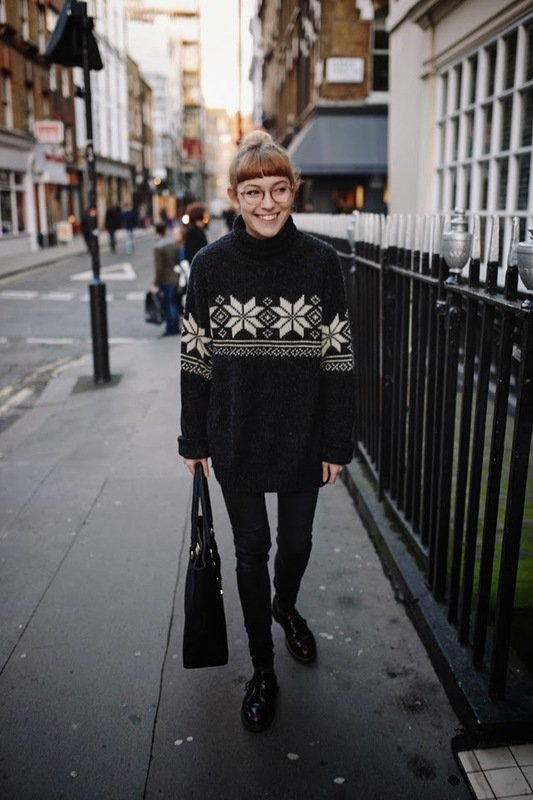 This year I've teamed up with vintage brand Beyond Retro to help spread charitable, (and festive), love in conjunction with Save the Children's Christmas Jumper Day. 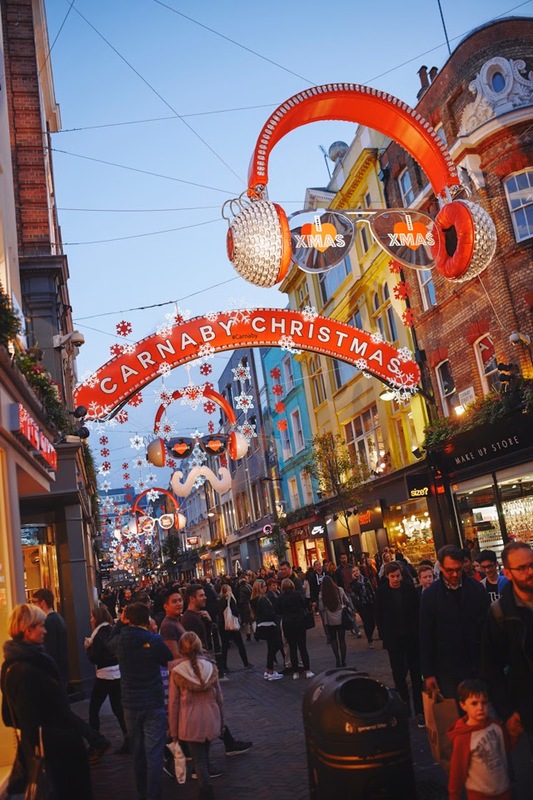 Beyond Retro have pledged to sell 10,000 Christmas jumpers in the lead up to the big day and will be donating £1 from each sale to Save the Children. 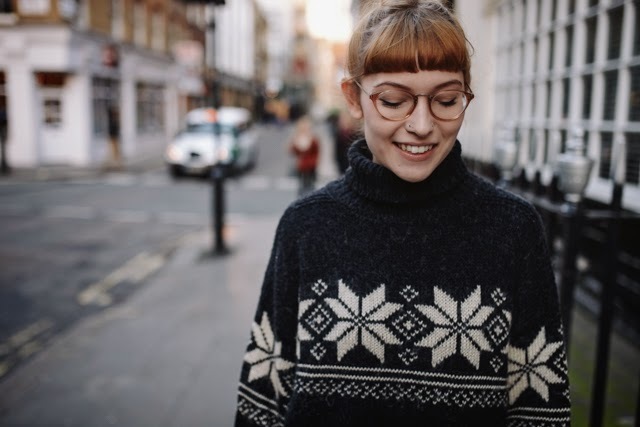 To support them in their generous endeavor simply head over to Beyond Retro, (online or in-store), and purchase yourself a snuggly, possibly ugly, festive knit to sport this Christmas Jumper Day. 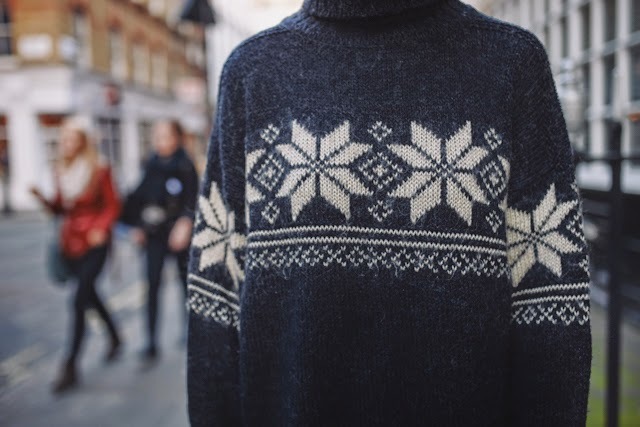 Beyond Retro actually have a pop-up store at Old Street station at the moment which is dedicated entirely to Christmas jumpers, so perhaps you could even treat yourself to a visit there when searching for your new wooly friend! 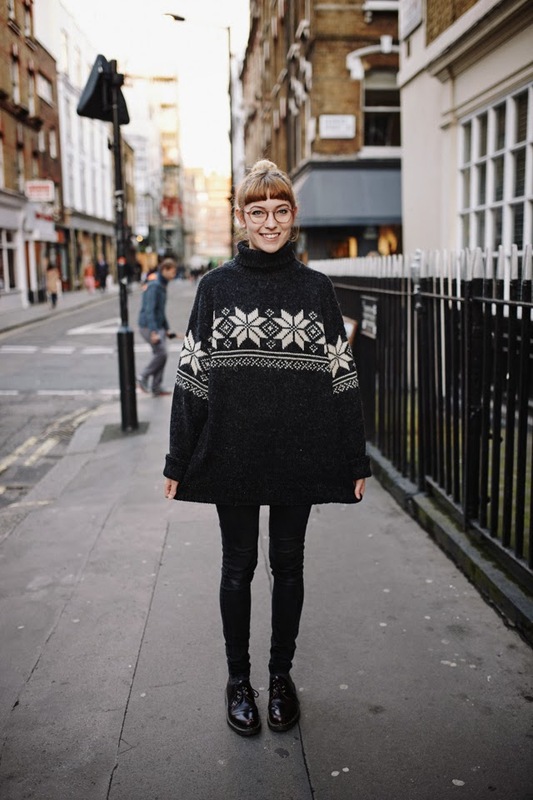 Once in your knit, be sure to enter their #xmasjumperstylechallenge, where you could win a £250 shopping spree! All you need to do is make sure you're following Beyond Retro on Twitter and Instagram then snap yourself in your new Christmas jumper alongside the hashtag above! The Christmas lights look amazing :) Also I really love your jumper! Oh, dear, you are amazing! 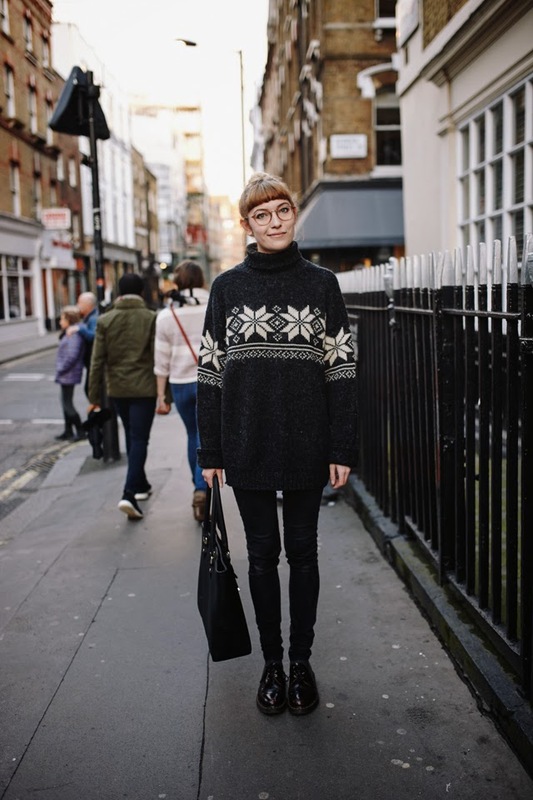 Love the sweater and the oxford shoes! 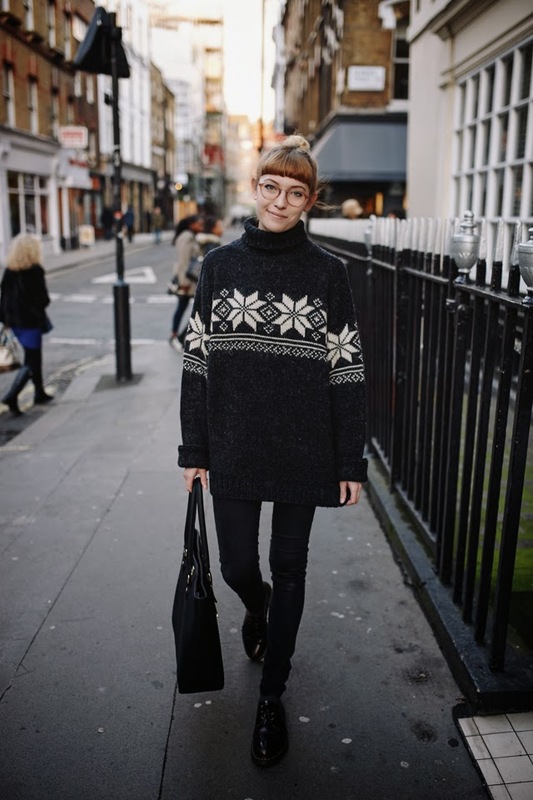 Omg, super cute sweater! What a great cause. Thanks for sharing! awwww I love those christmas decorations and you ofc!! !